Haven’t had much time or energy to post anything in the past few months. As usual , work overtook any effort to write. But it’s quite amazing how “inspirational” being away from work can be. So I’m halfway through my first day in Iceland. I saw halfway through but I’m actually waiting for my dinner. Tonight will be my first attempt at chasing the aurora borealis. I have my fingers crossed because I haven’t seen the sky all day. 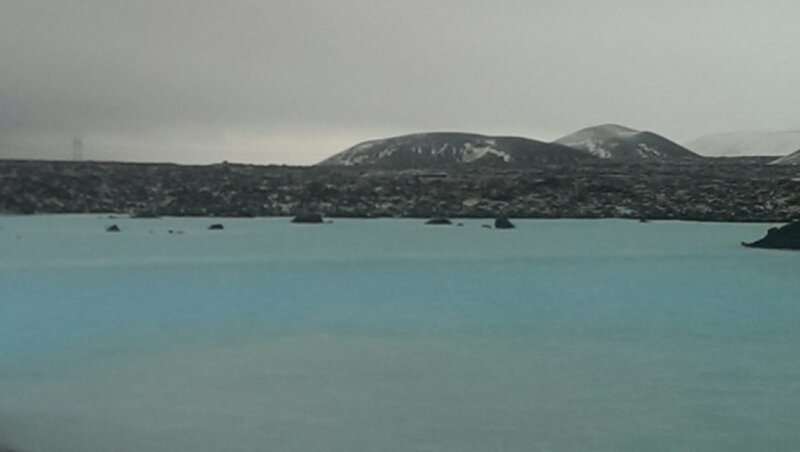 I did, however, spend a wonderful 3 hours at the Blue Lagoon submerged in hot thermal waters while my ears almost froze over. The winds were realky blustering and it was freezing once you got out of the water. I didn’t get a pair of slippers and, at one point, i swear I couldn’t feel my toes anymore as I was making my way to the massage area. But the massage was well worth the close shave with frostbite. Done while you are lying half submerged in the warm waters, it unkinked all the right knots. Other than the food, I”m more than in love with Iceland right now. The people have been helpful and friendly. And the internet oh the internet! Free wifi on the tour buses, free wifi in the room. Hong Kong should take its cue from Iceland, instead peeing its pants about breaking that idiot Richard Li’s monopoly!